SQL Server Database Migration tool allow you to migrate corrupted or inaccessible database of an SQL Server from one server to another server without any hassle. Software allow users to migrate database objects like Tables, Stored Procedure, Functions, Rules, Triggers, Views etc. The SQL Database Migrator application is designed in such a manner that it can easily migrate data from One database to another in SQL Server. Software is able to move all the database objects like Tables, Functions, Rules, Triggers, Views, Stored Procedure, etc., to the higher or lower version quickly. SQL Database Migrator doesn’t impose any file size limitations to migrate SQL Server database from one Server to another. Whether the database is being exported directly into SQL Server database or as a SQL Server Compatible Script, It can easily be transferable to any length of Size. While moving SQL Server database from one server to another, the SQL database migrator allow you to move the database components direct to SQL Server from One machine to another machine without any hassle. For this, you need to provide only machine address of the destination SQL Server. Another impressive feature of this SQL Database Migration tool is that it allows users to migrate schema of database objects with Only Schema or Schema & Data. Using with Only schema option, One can move only the structure of selected database objects and If you choose to migrate database with Schema & Data, then Software will migrate both the structure and data of selected database objects. 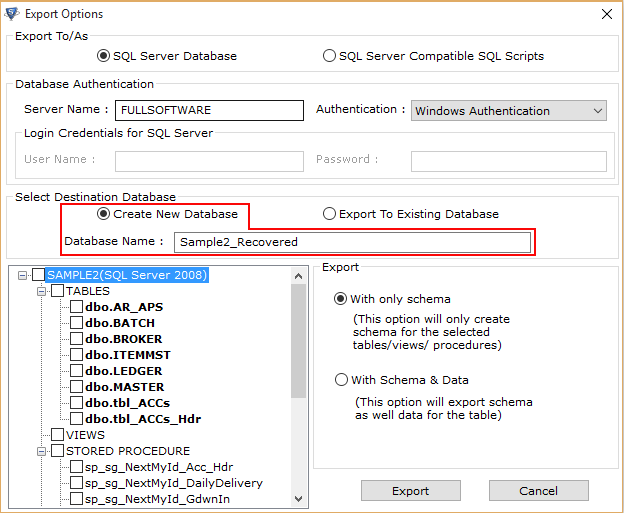 With this SQL Server Migration Wizard user can easily migrate SQL Server database according to the type of their Authentications. I.e Windows Authentication & SQL Server Authentication. To migrate Database using Windows Authentication, Software will ask for Server Name and then choose the Authentication type, I.e. Windows Authentication. And for SQL Server Authentication, software will ask for Server Name and Authentication type i.e. SQL Server Authentication with Login credentials i.e. User Name & Password. In case, if a user wants to migrate selective database objects like Tables, Stored procedures, Views, Functions, Index etc components from one Server to another or one machine to another, The SQL Database Migration tool allow users to select the particular database object and migrate it into their desired SQL Server. Moreover, Software facilitates the functionality to move selective database object in an existing database or as a new database. The most useful feature of SQL Database Migrator tool is, it provides an option to create .sql script of all database objects available in a database. For example, if a user wants to migrate SQL Server database from 2008 to 2012, 2014, 2016 or 2017, then the software will create .sql scripts of all database components and then one can execute the scripts of .sql script files on any desired SQL Server. So, a user can migrate data easily from any machine and on any SQL Server. Thank you for dropping your message. We will get back to you soon! Note: Thank you for dropping your message. We will get back to you soon! Can I migrate database from SQL Server 2008r2 to 2012 with the help of this software? Yes, One can easily move database from SQL Server 2008 R2 to SQL Server 2012 without any trouble using this application. 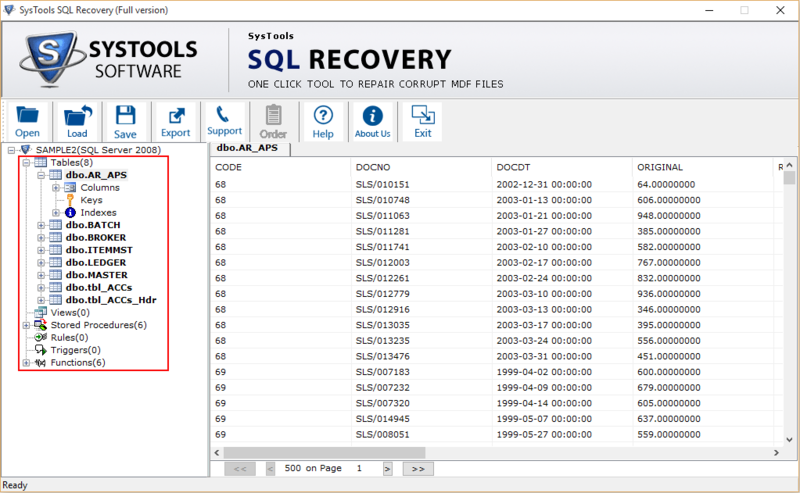 Is it possible to migrate the database of a corrupted MDF file in SQL Server? Yes, One can easily move severely damaged MDF file database into healthy form using SysTools SQL Database Migration tool. Does the software copy tables from one database to another in SQL Server 2012? Yes, the tool provides the facility to migrate only one table from one Server to another based on user’s choice. you can also move other database objects like Functions, Stored Procedure, Index, Views etc. 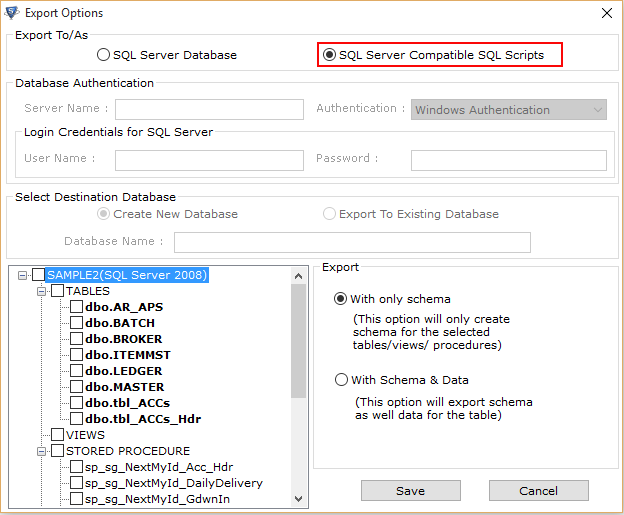 Is it possible to migrate SQL Server 2000 database to 2016 directly via SQL Database Migrator? Yes, A user can migrate from the lowest version of SQL Server database to the highest version in just a few number of clicks. For example: from SQL Server 2000 to 2016. Is there any file size limitation to migrate SQL Server 2008 database to 2012? No, Software does not impose any file size limitation during migration. Therefore, a user can easily migrate SQL Server database from one server to another. Is it possible to migrate SQL Server database from one Server to another on an existing database? Yes, SQL Server Database Migration Tool easily migrates SQL Server database from one machine to another on an existing database. You just need to provide the machine address of destination Server and select the existing database on which you want to move the database components or a whole database. Can I convert MDF to .sql Script using this SQL Migration tool? Yes, SQL Server database migration Tool is capable to convert MDF to .sql Script. Does this software helps in migrating on-premises SQL Server database to Azure SQL database? No, SQL Server database migrator helps you in migrating SQL Server database to another server. You can use SysTools SQL to Azure migration tool to transfer on-premises SQL Server database to Azure SQL database. 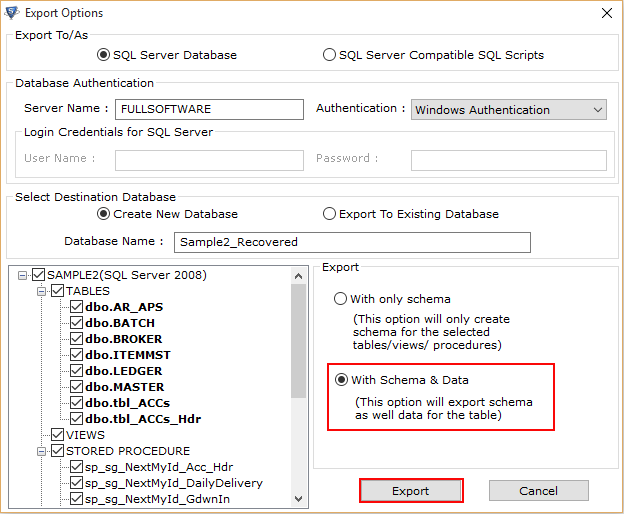 Move & Export SQL Server Database on an Existing Database or as a New Database. SQL database migrator has the functionality to move an offline (detached) inaccessible or corrupted primary and secondary database files data from One Server to another Server. Before migrating corrupted database from one Server to another, the SQL database migration tool allow you to preview the database objects like Tables, Stored Procedures, Functions, Keys etc. SysTools SQL database migrator provides an option to transfer selected or all database objects of an SQL database file from one database to another. 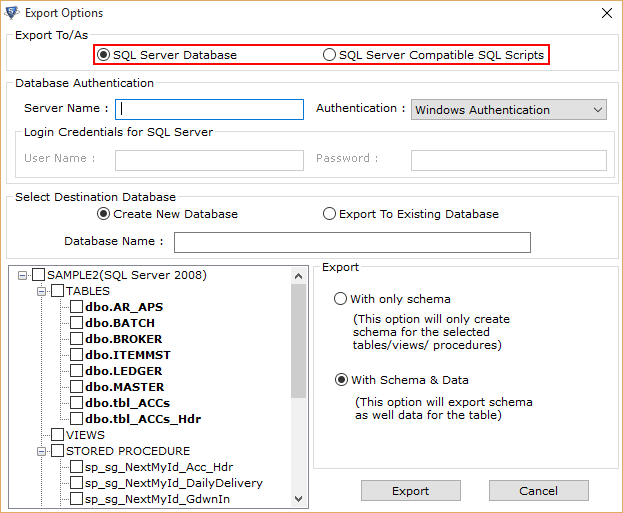 This means, one can easily transfer SQL database tables data between two databases in any SQL Server version. One can easily move database from SQL Server 2008 to 2012, 2014, 2016 & 2017. SQL Server Database migration tool not only migrates SQL Server database from one Server to another Server, It also converts .mdf file to .sql script file. The Software generates .sql script file of all the database objects like Tables, Functions, Stored Procedures,Views, Rules etc from an .mdf file, So that one can easily move and execute the generated scripts on any desired SQL Server. 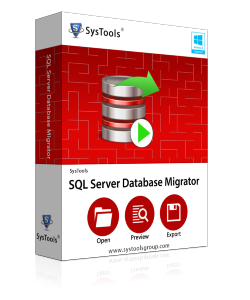 SysTools SQL database migration tool scans the MDF file data and allow users to transfer the database from one machine to another machine. To transfer the database on a network Server, Software will ask for machine address of the destination Server and authentication details. You need to provide valid User Name and Password, if you are transferring the database using SQL Server Authentication. 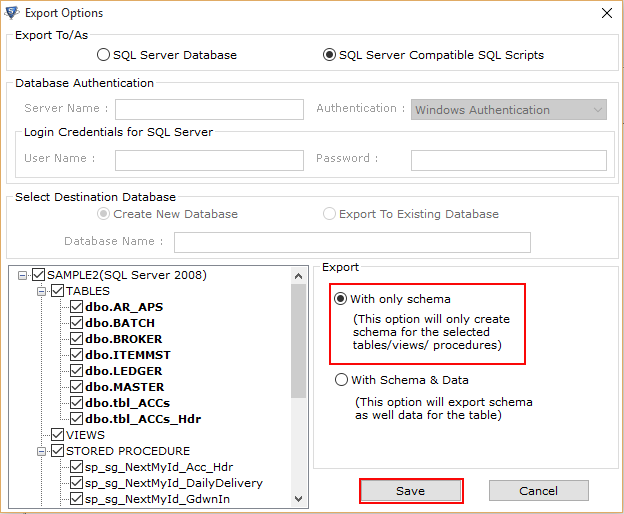 SQL Server Database migration tool allow users to move database objects of an offline SQL Server database file (MDF/NDF) from one Server to another Server with only schema. Moving only the schema of database objects allow users to work only with the database structure according to their need. While copying SQL database from one Server to another Server, the SQL Database Migrator provides an option to move database objects like Tables, Function, Stored Procedures, Index etc components with both the Schema & data in SQL Server 2017, 2016, 2014, 2012 & all previous versions of SQL Server. 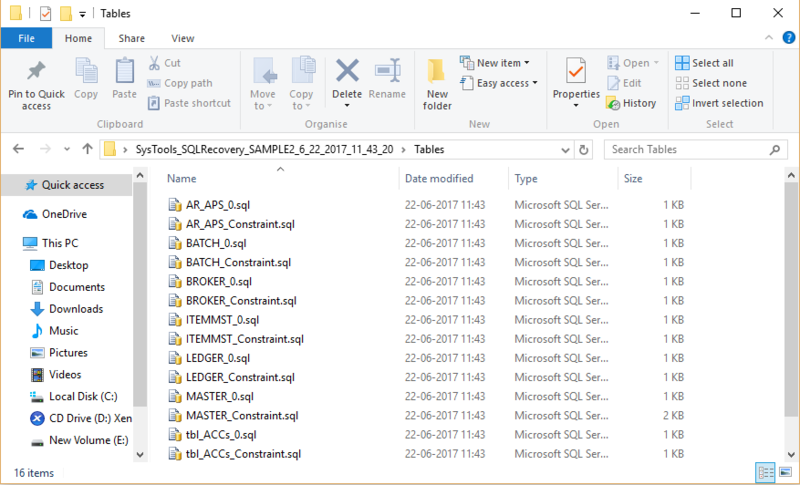 Is it possible to migrate SQL Server database of an .mdf file of SQL Server 2014 to 2016 using this software? Yes, SQL Database Migrator can easily move all the database objects of SQL Server 2008 MDF & NDF file to SQL Server 2012. Can I transfer only the schema of a specific table from one server to another? Yes, Software is capable to transfer only the schema of a specific table from one Server to another Server. Can I migrate specific object data from one database to another in SQL Server 2016? Yes, SQL database migration tool is able to move data from one database to another database of a specific database object. I was using SQL Server 2012 from past few years but want to upgrade to SQL Server 2016. Therefore, I was looking for the software to move my old database to new one. After a very long search, I came to know about this SQL Database Migrator application. I must say that it is a simple way to migrate database from SQL Server 2012 to 2016 without any trouble. Great tool!! I never thought that migration from one SQL Server to another will be so easy. the SQL Server migrator makes this complete task so easy for me that I did not find any difficulty while using this tool. According to me, it is a best SQL migration tool with all required feature. The best part of this SQL Server Database Migration tool is, the application provides an option to copy SQL table from one database to another or you can migrate selected database objects from one Server to another in just a few number of clicks. Excellent utility for database migration, even helpful in converting .mdf to .sql script files.